DECADE - New website launches! 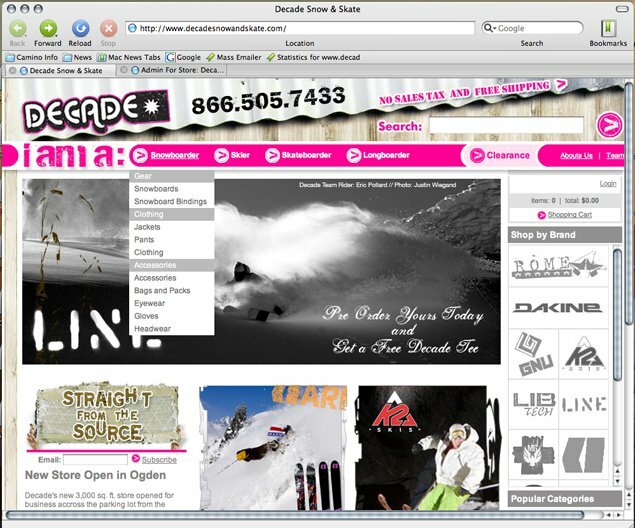 This year, Decade will be featuring all the latest skis, boots, bindings, outerwear, and accessories from Line, Armada, 4FRNT, Surface, K2, Rossignol, Lib Tech, Dalbello, Scott, Dakine, Coal, Mission Six, Dakine, Celtek, Holden, Siver Cartel, Sessions, Electric, Von Zipper, Oakley, Joystick, Smith, Giro, and more.Also, new this year, all newschoolers.com members will receive a 10% discount on all products, good all year. Simply type newschooler in the coupon field at checkout to get your deal.If you don’t see want you’re looking for, keeping checking back or give us a call. We have new products arriving daily and the site will continue to update as new shipments come in. A New Ski Brand Based out of Pemberton, BC.